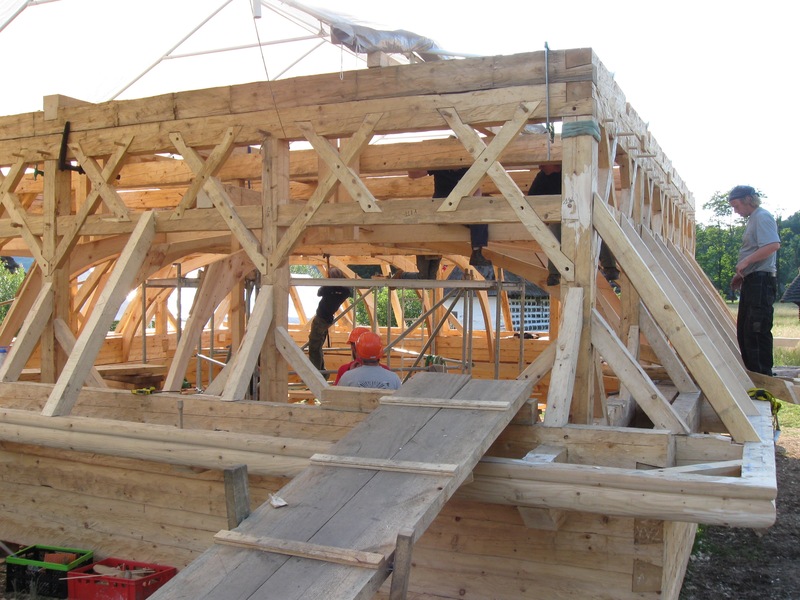 The project involved a team of over 30 professional carpenters from numerous countries, as well as over one hundred art and architecture students from Poland and the USA. 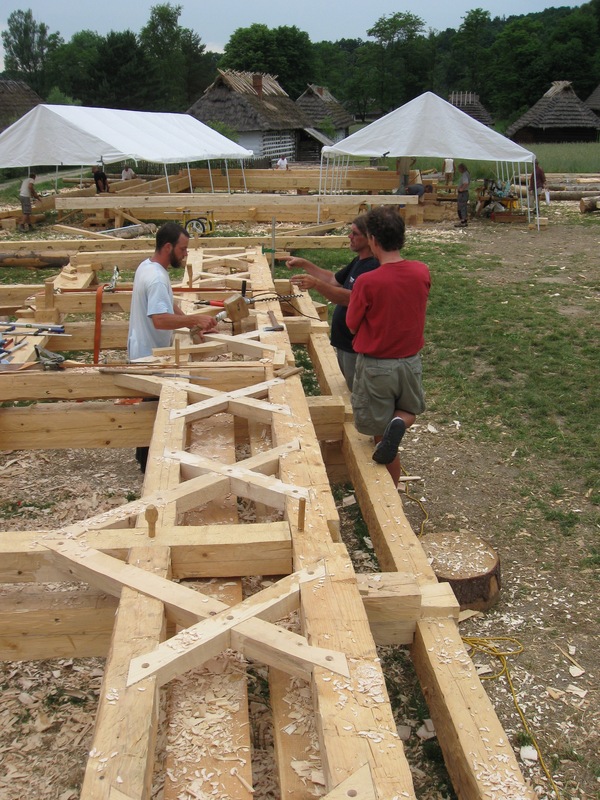 Nearly everything on site was done by hand in the manner of the 18th century, from hewing beams to sawing, chopping and chiseling joinery. 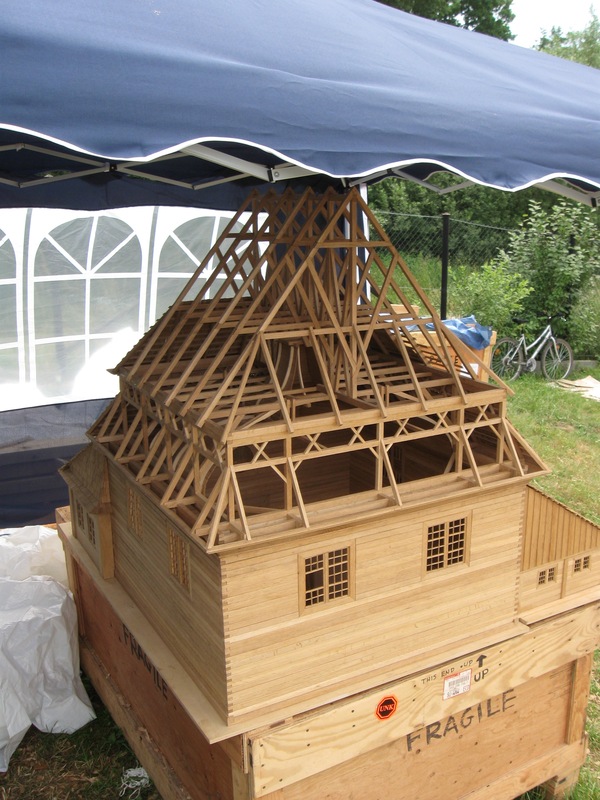 During world war 2, every last wooden synagogueof this type (a well-defined architectural form) was destroyed, giving the Gwoździec reconstruction poignant relevance. 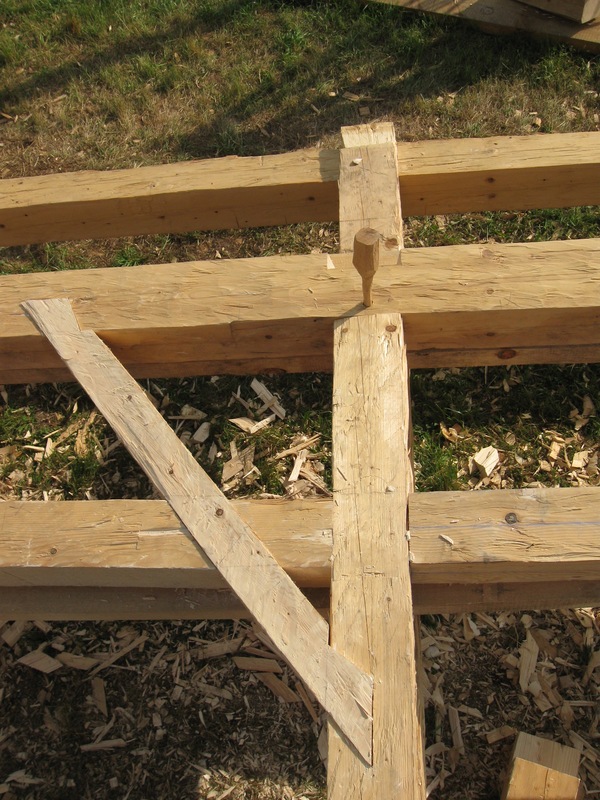 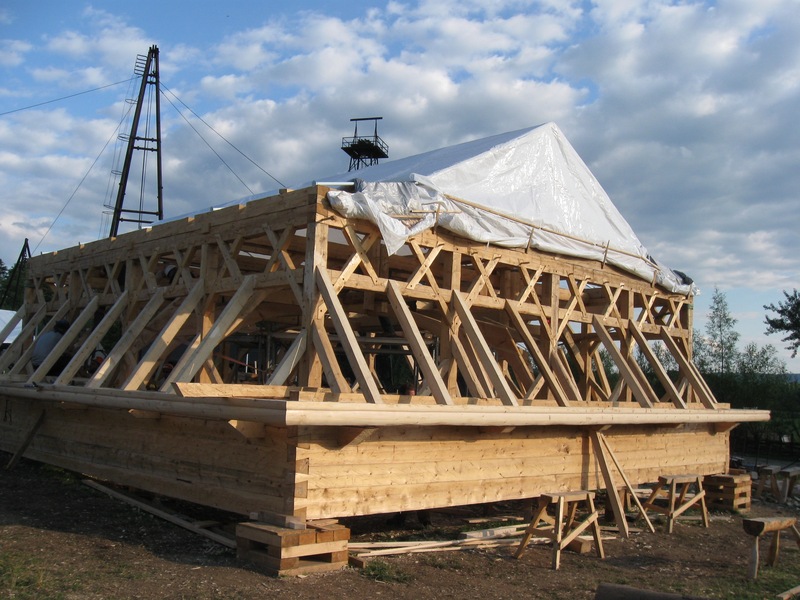 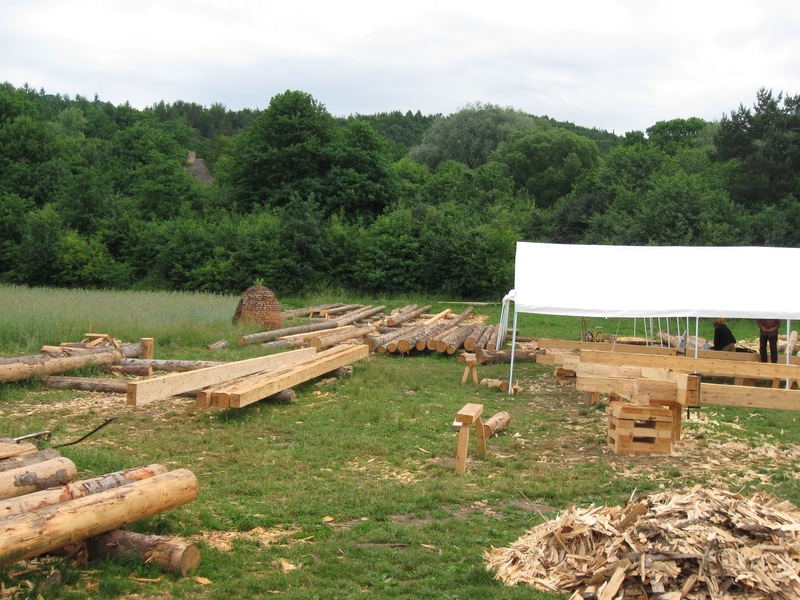 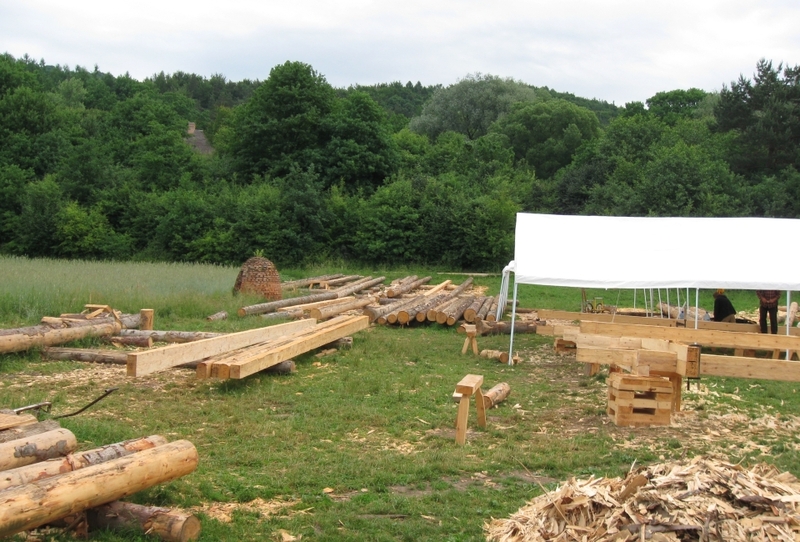 There is deep documentation of the project, including a blog, and award-winning documentary, and the websites to the three partner organizations: Timber Framers Guild, Handshouse Studio, and The Museum of the History of Polish Jews.